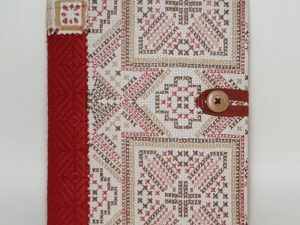 Delight your student, traveler or writer with this unique, handmade composition notebook cover! Made of durable home-decor fabrics, this will feel great in your hands and be pleasing to your eyes! 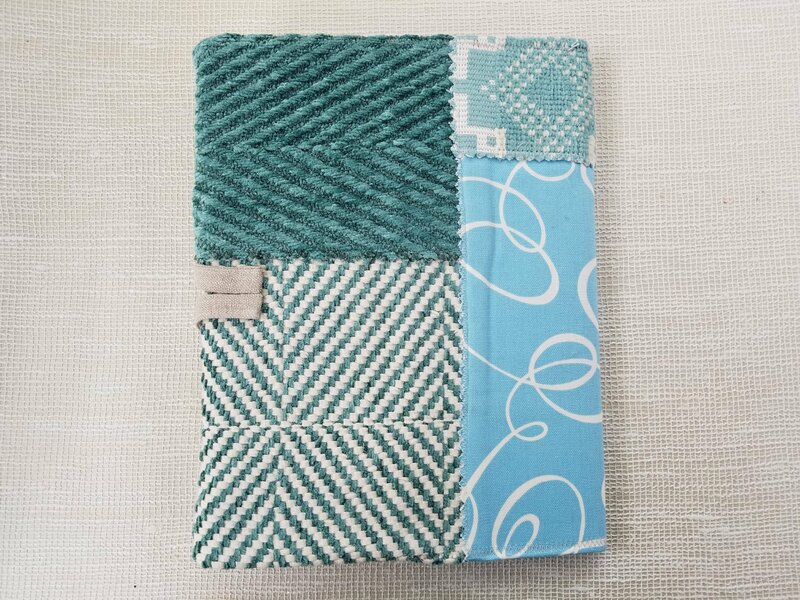 Using this diary cover will turn everyday experiences into moments of fun luxury. 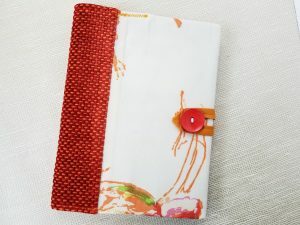 The cover is designed to fit a standard 7.25/7.5" x 9.75" composition notebook, so finding refills will be a piece of cake. 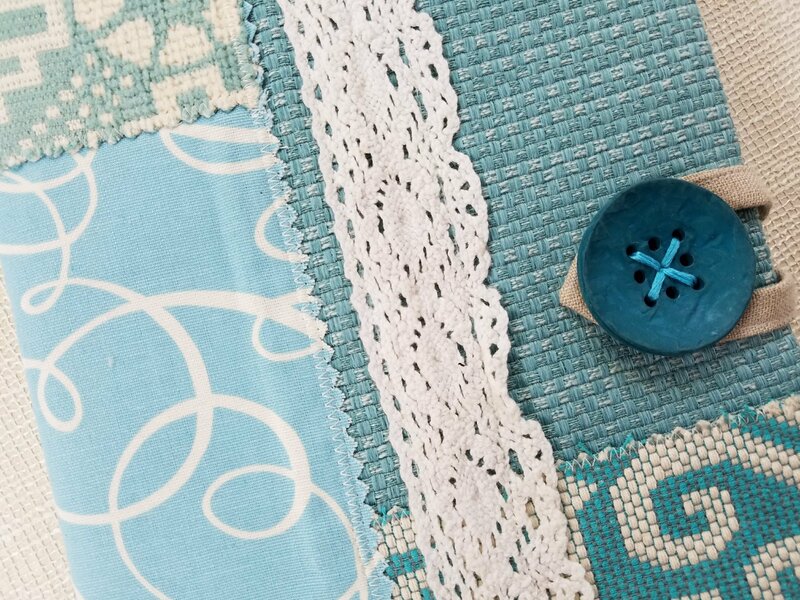 It combines light blue/aquamarine fabrics with beautiful white cotton lace. 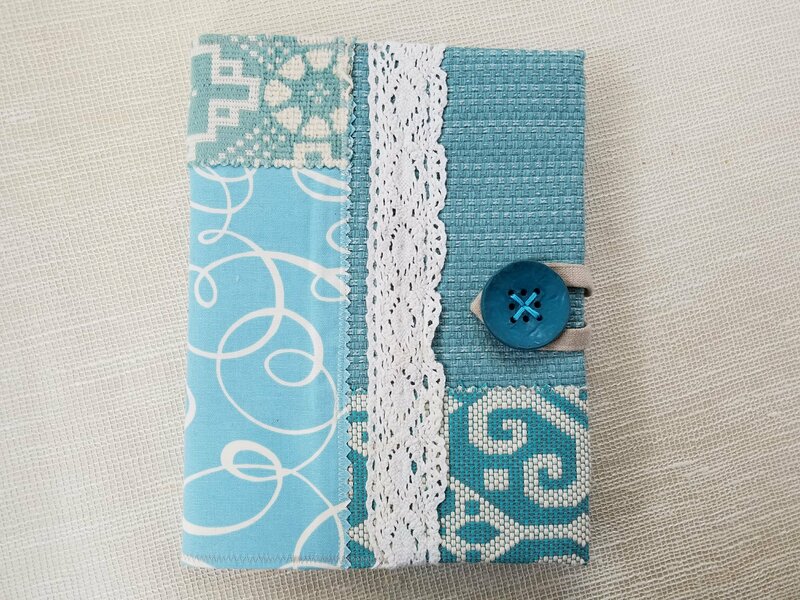 This will be a great gift for any notebook-using women or teen girl in your life. – made to fit a standard 7.25/7.5" x 9.75" composition notebook. 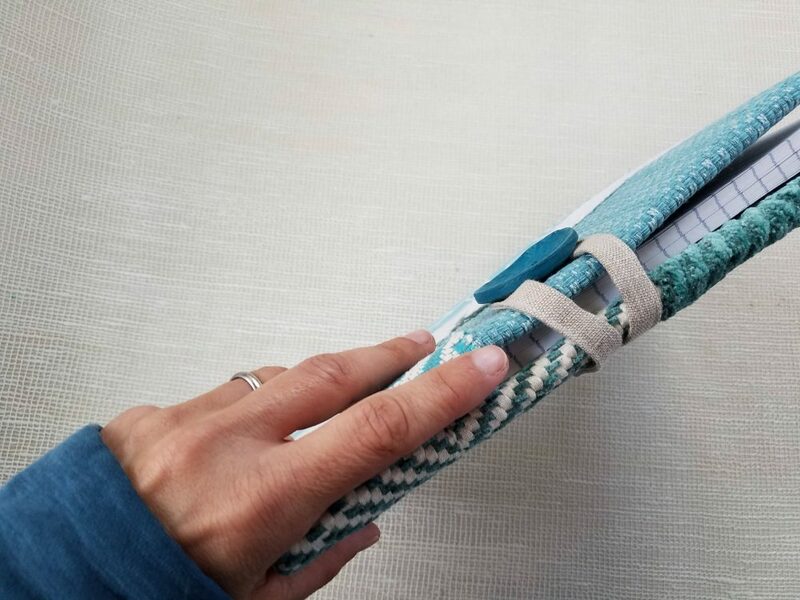 Made from rescued designer upholstery fabrics, that are both gorgeous and strong. – The cover is made of different upcycled/rescued pieces of matching light blue / aquamarine / turquoise and white high-end designer upholstery fabrics, sewn together into a collage. It is decorated with white cotton lace. – Strengthened with fleece interfacing. – It has a large turquoise button, and a cream loop closure for added privacy. 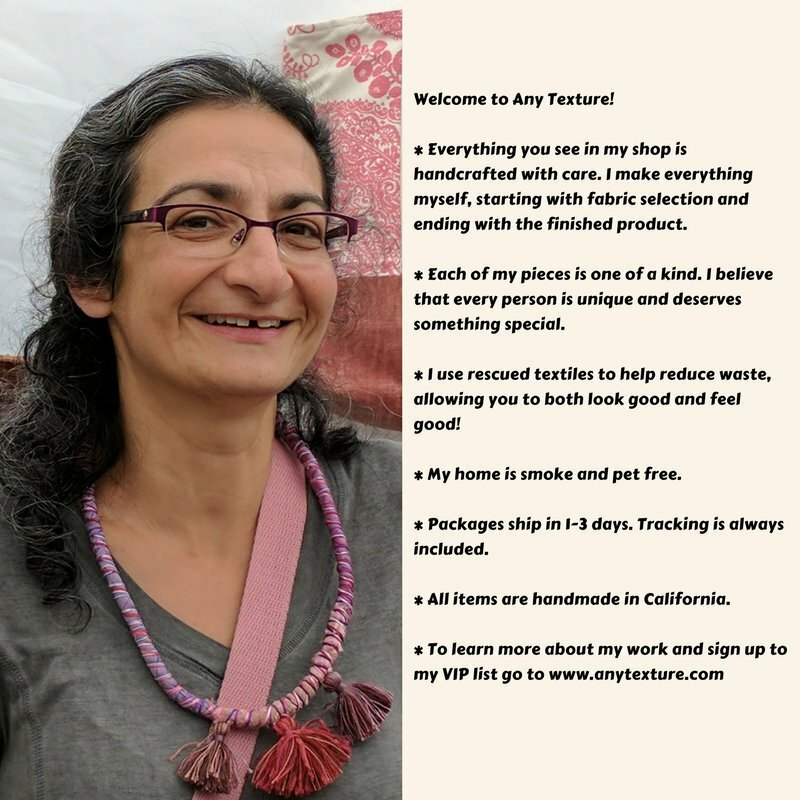 – This is an earth-friendly item, as it not only uses recycled fabrics but can also be used over and over again. – The cover comes with a new composition notebook already inside. 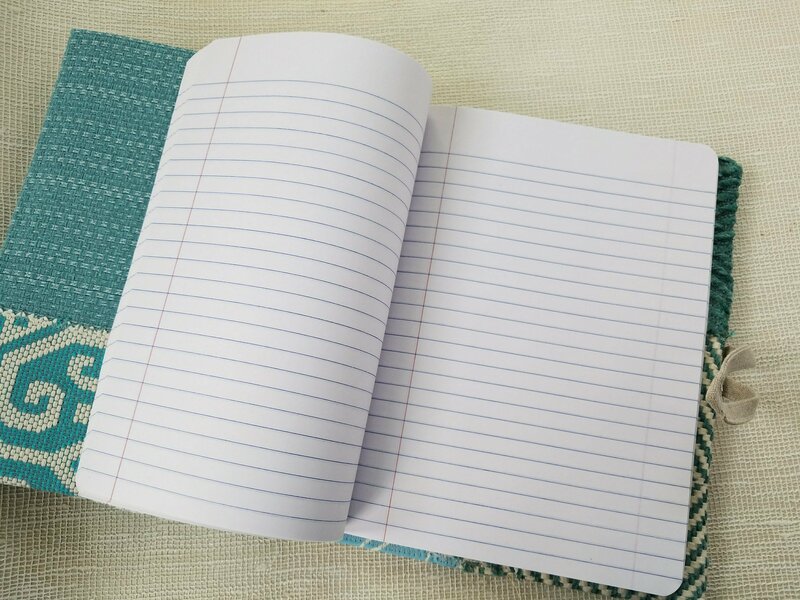 It can be transferred to another composition notebooks as needed. 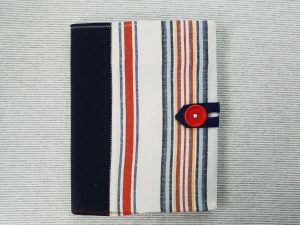 – Each cover is unique and one of a kind. No two are ever alike. 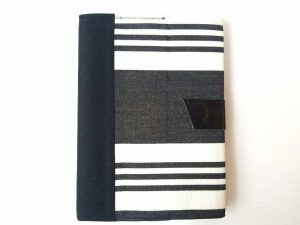 – This cover is sustainable and eco-friendly.